Want to free your pcDuino from the oppression of wired networking? 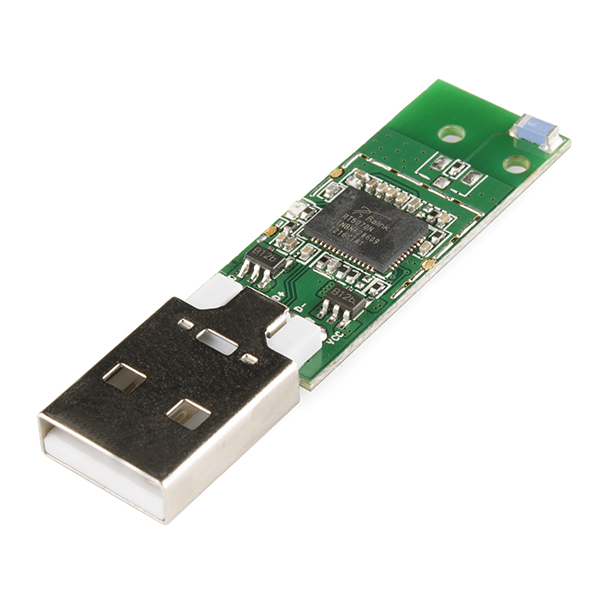 This USB Wifi dongle has been tested to work with the pcDuino, simply plug it into the USB port and you're ready to connect to a nearby wireless network! Note: We've found that this also works well with the BeagleBone Black as well as the Raspberry Pi! I got this working with the BeagleBone Black after following following the instructions from Adafruit . Depending on the location in my house though the latency can be high, like 600ms! but sometimes it's really good. I did have to disable the HDMI connector as in the link and I also had to update the kernel and use the script provided in the link. Then it just worked! If I am readin the model number correctly that chip says Ralink RT5370. A few google searches with that model number say that this should also work with a raspberry pi. Unless I am missing something? Yes - does it work with Raspberry Pi? What is current requirement? Looks like it was just a matter of signal strength - where my laptop was reporting about -70 dB signal strength, the dongle was reporting over -90. It has a little dinky antenna, so reduced range is expected. Could this be wired up to an Arduino? In comparison to the Arduino Wi-Fi Shield this thing is really cheap if you don't need the micro SD slot. It's possible in the same vein that a lot of things are possible, but it wouldn't be easy. PC's (including the PCDuino, Raspberry Pi, etc.) are USB "hosts", and run the complex driver software that makes things like this WiFi dongle work. Everything else are "devices", including the Arduino. So it's kind of like plugging a "device" into a "device" - in general it doesn't work out. The fine print is that in some cases, the Arduino can act like a "host", using special software tricks (like the 32U4 and other USB-agile Arduinos being able to both emulate and host keyboards, mice, joysticks, etc. ), or plugging in a Host Shield, for which some people have written sketches to control very specific devices. 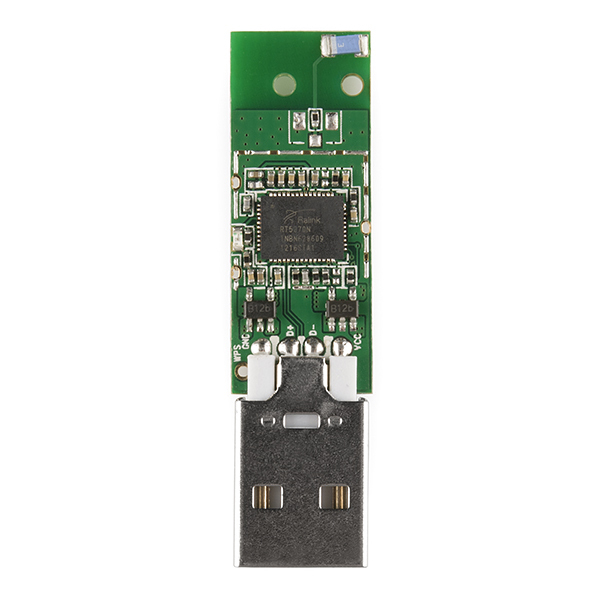 If someone has written a USB host sketch that supports this specific dongle chipset (there are a lot of them out there) then yes it could work. But other than that, one of the shields or the Electric Imp, though more expensive, is the easier way to go. According to the people on the other end of the Projects and code link that you provide on your Host Shield product page; "Future plans include development drivers for communication devices, such as WiFi and cell phones, and support for other USB Host controllers." They mention a "USB Host Mini" which would be perfect for my application. Will you be selling these eventually? 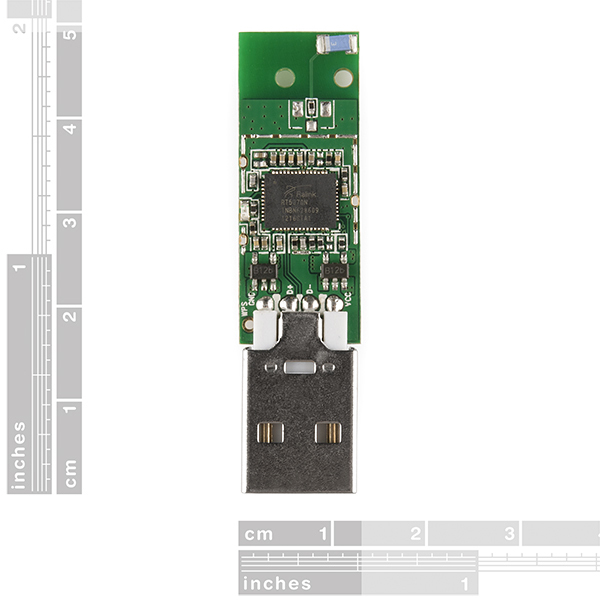 Also, would you please tell us the "specific dongle chipset" as it is hard to read the chip name in the product pictures. Ummm... "PC's (including the PCDuino, Raspberry PI, etc.)..." Yeah, these are not PCs, they're both ARMs. PCs use the x86 or x86_64 architecture, and these don't. Sounds like you're confusing USB hosts and USB devices, too. A keyboard or mouse is still a guest device, not a host. What am I missing? Despite the "PC vs. Mac" ads, PC still stands for Personal Computer, and it is used to differentiate between machines that run full operating systems and have significant resources vs. microcontrollers that don't. From Wikipedia: "Personal computer, a computer whose original sales price, size, and capabilities make it useful for individuals. Commonly running either Windows, OS X or Linux." The important thing here is that while you may be able to host certain simple USB devices with a microcontroller, it's much more difficult to host complex or arbitrary devices given the limited resources of a microcontroller. And you're right that I didn't state the keyboard/mouse example correctly (sorry, we're busy here! ), I'll edit it as soon as I get to a PC. Not really, you need a USB driver and an Ethernet (and probably IP and TCP/USB) protocol stack, which would not be likely to fit in an Arduino (maybe a Mega). The Arduino Wifi shields are expensive because the TCPIP stack is offloaded to the shield (it probbaly lives on the Wifi module itself, like the Wifly GSX module), so all the Arduino has to do is exchange serial data with the shield. The shield then takes care of the rest. It draws 200 mA in its peak use. USB ports only provide 500mA (chargers for phones might do more) so don't expect to ever get more than that. 200mA sounds much closer to being accurate. That makes much more sense! Can this work with any PC? My dad was looking for one for one of our computers, but all I could find was in the $40+ range. You can find some good quality mini USB WiFi adapters for ~$15 on Amazon. If you want to get one with an external antenna (much greater range and speeds) they aren't much more. Try Dx.com, type wifi usb2, they have heaps much cheaper, but read the reviews first (or look at reviews stats) and decide based on those if you want to buy there. @cyclicredundancy - Farnell has one cheap specifically for the Pi for about $22 with a case. What is the wifi range on this? I found a data sheet for this thing if anyone's interested! This Dongle works in android? Is there a tutorial or datasheet on this? I would like to know about features of this dongle. It's support IEEE 802.11 b/g/n standards? I wonder if there is a way of getting something like this (or another WiFi Dongle) to work with a IOIO board with minimal or no modifications to the IOIO firmware. Any ideas? Be sure to pick up a heatsink for this at the same time -- mine didn't work reliably without one. It works great now, though. What is the range on this dongle? [ 1629.230000] Error! The chip does not support 5G band 15! [ 1629.670000] !!! rt28xx Initialized fail !!! [ 1629.680000] Error! The chip does not support 5G band 15! [ 1630.110000] !!! rt28xx Initialized fail !!! [ 1630.120000] Error! The chip does not support 5G band 15! [ 1630.580000] !!! rt28xx Initialized fail !!! I would give you the same suggestions as above. an you check your OS version? $ cat /proc/version If it is the latest 3.4.x, there is the patch that can fix the WiFi issuer here. Please check http://www.pcduino.com/?page_id=14 Find: WiFi Patch for 04-04-2013 release, Release Note. 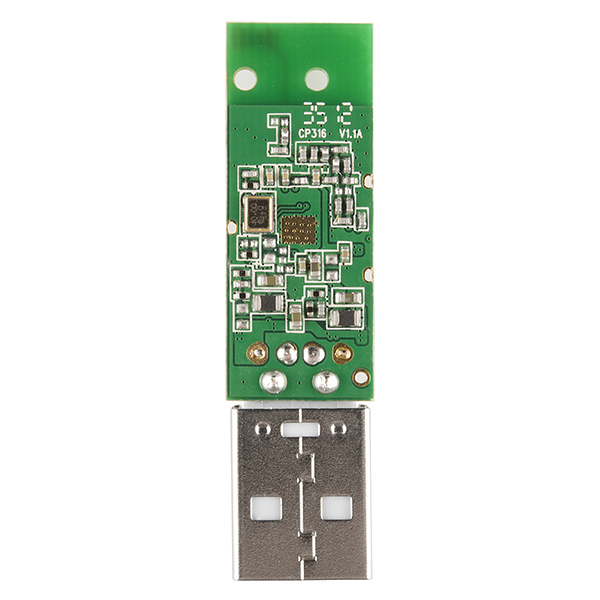 Note: Fix the WiFi issue for pcDuino WiFi dongle. Find: WiFi Patch for 04-04-2013 release, Release Note. Note: Fix the WiFi issue for pcDuino WiFi dongle. I have the dongle working, but I still get the two messages shown above every 8 to 12 seconds. I looked at the page referenced with the patch and didn't see the link referenced for the rt5370sta.ko module. But, looking at my system, that is the module that is loaded and running. I have some other pcDuinos that came with the ASUS N13 dongles. They work fine and no error messages. Do you also carry the connector/adaptor for the antenna and where do we need to solder on the wifi dongle to hook it up? Thanks! The dongle has the on board antenna. If you want to go with external antenna, you need modify the PCB to disconnect the internal antenna besides soldering the SMA socket.